Exporter of a wide range of products which include boy school shoes, black school shoes, belly school shoes, gola shoes, school uniform shoes and girls school shoes. With enormous experience in this domain, we have established ourselves as the most reliable manufacturer, trader, exporter and supplier of Black School Shoes. 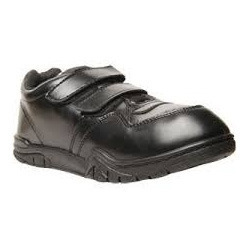 Our offered school shoes are recognized by our patrons due to its fine finishing and lightweight. 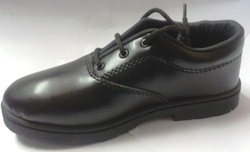 The offered school shoes are designed by excellent quality material and leading techniques. 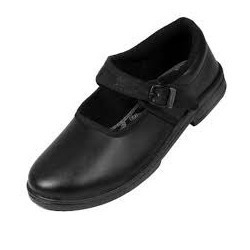 Along with that, clientele can avail these school shoes from us in bulk quantity within the committed time frame. To meet the diversified requirements of our prestigious clients, we are manufacturing, exporting, trading and supplying Gola Shoes. These shoes are designed using the supreme quality material by our accomplished professionals. The offered shoes are quality checked by our quality inspectors, in order to assure its quality. Offered shoes are acclaimed in the market owing to its high durability. Furthermore, patrons can avail these shoes from us at reasonable prices. We hold expertise in offering a superior quality range of School Uniform Shoes. These products are manufactured using supreme grade leather and sophisticated technology in complete adherence with the industry norms. Available in varied forms, sizes and other specifications, this range is highly demanded in office staff, executives, educational institutions, hotels and front office.